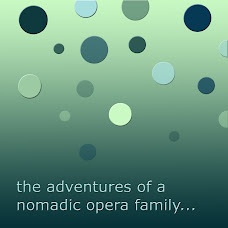 We recently made a new Blurb book of our kids' extreme travels, and Blurb offered a widget to share our book. Our Internet has been a little funny, will it work? I thought Blurb said my whole book would be on-line, but it seems to just be a few pages. Oh well. So fun to see! The other blurb books I've looked at online also show only a few pages, but I do think it's amazing technology. And what a treasure your books will be for your family later. Awesome !!!!! I have to edit (at least) one for us, too ! The info you gave me once about these kind of books , Ann,got lost somewhere in an old computer, so I never really got to do it. Now that I can see how it looks like, (you took Splendid pictures -and put them soooo beautiful in the pages! ),now I have to try to edit one ! Probably it will be one of Paris (my favorite city). Have a beautiful Spring !